A rival car service says Uber has been using questionable tactics to recruit its drivers. Gett, which allows users to order cars with a smartphone app, claims that Uber employees in New York ordered and canceled over a hundred of its cars during a span of three days last week. The Uber employees received the Gett drivers' cell phone numbers from the order. On Tuesday, an Uber employee texted the drivers in an attempt to recruit them. In screenshots of the texts provided to CNNMoney, Uber offered Gett drivers money to come work for their company. Uber acknowledged the tactics went overboard. "Our local teams can be pretty determined when spreading the word about Uber and how our platform opens up new economic opportunities for drivers," Uber said in a statement. "In this instance, the New York City team was a bit too ambitious and we'll make sure they tone down their sales tactics." Gett CEO Jing Herman likened the incident to a "denial of service" attack, saying the cancellations disrupted the company's business. "During a very short period of time when we had a hundred cancellations that took up a hundred drivers, those hundred drivers could have served a hundred of our legitimate customers who weren't able to get a car or had to wait much longer to get a car," Herman told CNNMoney. In some cases, Herman said the Uber employees waited until the cars had showed up to cancel the order. Uber said the orders were all canceled immediately. Order forms provided to CNNMoney show that more than a dozen Uber employees were involved, including community managers, operations managers, Uber's general manager, and the company's social media strategist. Some booked and canceled as many as twelve rides over the two-day period. A couple Uber employees canceled rides in December as well. Herman said Uber's tactics didn't end there: Many of Gett's employees are blocked from using Uber. "Personally, I've been blocked for the last few months," she says. 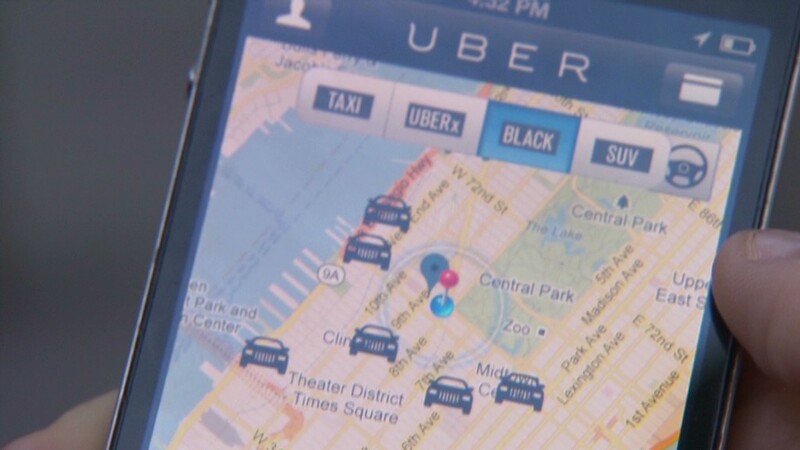 Uber may be a fast-growing company competing with several players for business, but San Francisco-based attorney Drexel Bradshaw says the company could face legal problems for these type of practices. "If Uber employees intentionally diverted Gett drivers from legitimate business by making phony calls, that is an unfair business practice, illegal under California law," he said. "It is also an intentional interference with Gett's business which makes them liable for money damages." Gett declined comment on whether it will pursue legal action against Uber. Uber spokesman Andrew Noyes said Uber ultimately paid cancellation fees for the rides its employees ordered on Gett. For its part, Gett says many of those charges are still pending. Herman says Gett, which is known as GetTaxi in several countries, will continue to expand in New York. "We believe that in a very short amount of time, we've proven that we are, for the first time, real competition for Uber at least in New York City," she says.